February 1, 2019 11:19 am. 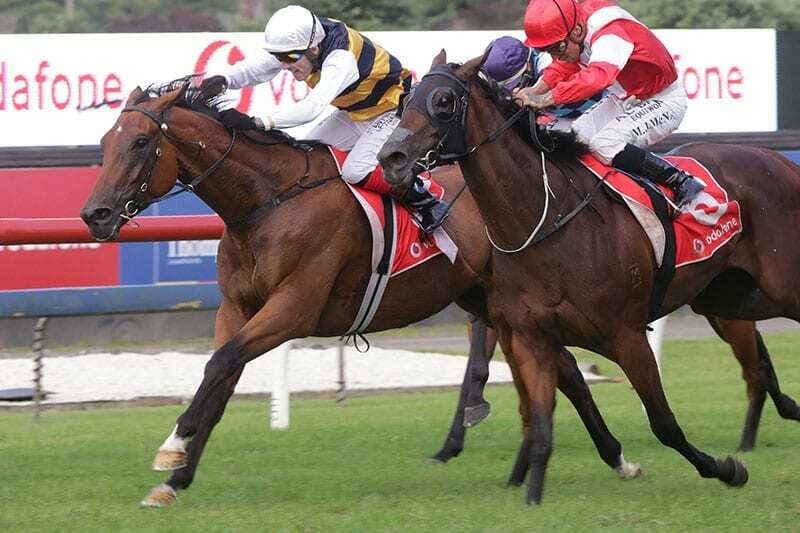 The Cambridge stable of Murray Baker and Andrew Forsman will be well represented in Saturday’s Taranaki Cup meeting, with a host of runners in the feature events. The Group 3 Platinum Homes Taranaki Cup (1800m) marks the return of last season’s Group 1 New Zealand Derby (2400m) winner Vin De Dance. The son of Roc De Cambes finished fourth in both the Group 1 Rosehill Guineas (2000m) and Group 1 Australian Derby (2400m) and was plagued by a back injury which thwarted his spring campaign. After two solid performances at the trials, Vin De Dance is rated a $4.80 chance behind last start Group Three winner Consensus ($2.50), while consistent galloper Overtheriver ($7.50) and Vin De Dance’ stable mate Saint Emilion ($8.50) are other leading contenders. “He is pretty good and we like to think he is on the way back,” Baker said of Vin De Dance. “He looks great and has been working well, he might just require a race or two to get back into it. Baker said Saint Emilion had bounced back from a disappointing run when a well-beaten sixth behind Danzdanzdance in the Group 1 Zabeel Classic (2000m) on Boxing Day and the longer-term plan was to see the hardy seven-year-old return to Ellerslie for the Group 1 Bonecrusher New Zealand Stakes (2000m). The Cambridge trainers will also get a better guide as to the pecking order of their three-year-old classic fillies when Vee Cece and Clementina clash in the Listed Fasttrack Insurance Oaks Prelude (1800m). “It will be interesting to see where they sit,” Baker said. “1800m will certainly suit Clementina, she is knocking on the door. She is a promising daughter of Savabeel. “Vee Cece won well at her last start at Te Rapa and she ran a fast time. She is by Canford Cliffs, who was a good miler but she is out of a Zabeel mare so I think she should get the trip. Baker said he was expecting good runs from his runners on the undercard including consistent mare Konstantina, while Lady Blue will represent the stable and the Cambridge Jockey Club in the $80,000 Platinum Homes Taranaki Summer Challenge (1400m). The race is restricted to horses that were maiden gallopers on December 1, with prizemoney funded by slot-holders, modelled on the successful A$14 million Everest (1200m) in Sydney.